Developing websites and web applications with ColdFusion offers a number of advantages that allow ColdFusion programmers to build highly effective web based applications. This dynamic program does not require a lot of coding such as PHP, JSP, and ASP based applications. The ease of use, high runtime performance and its dependability are among the main reasons why this ColdFusion is such a popular choice among ColdFusion programming professionals as well as ColdFusion development specialists. This application can quickly produce dynamic web based applications that have advanced functionality and features. Prior to selecting a ColdFusion web development company, it is important to ensure they can support this comprehensive application. Recent upgrades to ColdFusion come with a host of innovative features that have significantly increased the levels of functionality and scalability of ColdFusion applications. Users will also find that it is now easier to integrate ColdFusion with other IT environments. One of the best features of this program is that it offers a web application server that is able to work across many different platforms. This advantage permits site owners to maintain a level of stability regarding their existing applications. It also provides a framework for software applications that will allow a ColdFusion developer to build additional applications into existing ColdFusion applications. ColdFusion developers have the ability to integrate web pages and databases with the wide range of tools ColdFusion offers. ColdFusion is an excellent application to use to if there is a need to manage a significant amount of information, such as databases of customer information. A ColdFusion programmer can track certain projects and manage back-end support. ColdFusion gives users the ability to easily manage all of their databases using a single interface that maintains the integrity of the data within a secure environment. 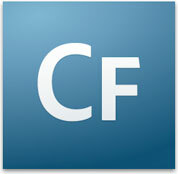 The most recent release of ColdFusion offers Ajax frameworks. Users can access user interface elements such as tree controls and rich text editors. Also, with ColdFusion, users can apply local or remote .NET objects within their existing applications. Using ColdFusion is a sound choice for many site owners. However, it is important to note that not all hosts can support this application. And for those that do, it is important to make sure they can support the particular version of ColdFusion the website requires as well as making certain they are a reliable ColdFusion hosting provider. When selecting a ColdFusion web hosting company, it is important to find out if the provider offers customer service support that can be accessed when needed. This helps to ensure that any problems that occur can be addressed immediately. The advantages developing websites in ColdFusion are diverse, but when developing a site using ColdFusion, it is important to make sure to have a reliable ColdFusion company that specializes in that area. Ecom Solutions is a ColdFusion development company that has years of experience in the ColdFusion business, and can tackle all your cold fusion needs.